Love it or hate it, the Affordable Care Act is changing medicine. While medicine is most notably about staying alive, is there a way to lower cost while improving quality? Is healthcare innovation different than other markets? Is health care innovation the same or different than say computer innovation? Can an entrepreneur do as much or more than Congress to make health care better? Yes! Because innovation is the single greatest economic force for reducing cost and improving quality. Walmart expanded access to goods while increasing households’ buying power by $2,400 per year. In 1970, cars had manual windows and the majority of households had only one TV. Now most of US homes across the economic spectrum have a car, air conditioning, microwave, dishwasher, several TVs, and an X-Box. Today’s computers, TVs, cars, and phones are better and cheaper than their predecessors. Before the Judge Greene decision in 1982, AT&T was the only phone provider. Phone costs kept increasing. Bell Labs led American innovation. Now phone calls are near free. Bell Labs is gone. Our smart phones are more powerful than a 1980s vintage supercomputer. Innovation lowers consumer prices, increases availability and improves quality. But the cost of health care continues to rise and the availability continues to decline. 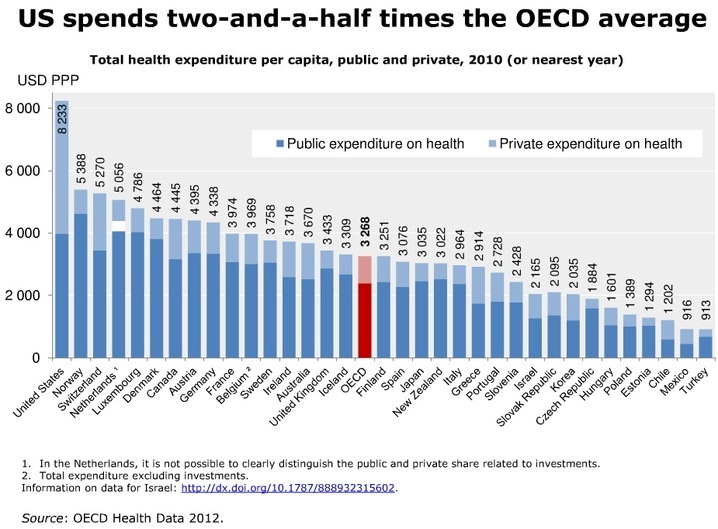 Health care costs in the US are the highest in the world, increasing 130% in just the last decade. Health care accounts for 18% of US GDP. We will pay any amount to stay alive. Does that mean the cost of care has no ceiling? Are innovation lessons from software, hardware, automotive and retail transferable to health care? The Affordable Care Act (ACA) sought to improve access to general practitioners and decrease ER visits. After ACA implementation, despite detailed government forecast predicting otherwise, ER visits increased. Why? Patients with new insurance but no doctor found it easier to go to an ER. Urgent care clinics are now sprouting up everywhere, responding to this evolving customer need. ACA policy assumed the legacy service model just needed more insurance. Customers, once enabled with insurance chose a better alternative for their needs. Entrepreneurs perceived that choice and offered a new service delivery model: urgent care. Did science change or did entrepreneurs make it easier to access science? Whole Foods put in place a novel consumer driven health care program to reduce its rising health care costs. The program charged more for employees with untreated high blood pressure, diabetes and obesity. But paid back the cost difference if employees got these diseases under control. For example, Whole Foods found employees had undiagnosed high blood pressure, despite doctors care. The old insurance program offered no economic incentive to change behavior. The distant thought of an early death lacked a present value motivation. In contrast, Whole Foods’ innovative insurance model motivated healthier behavior. Innovation improved care. Whole Foods saw reduction in health care costs. Employees improved their health. Innovation lowered cost and improved quality. In no uncertain terms, health care is complex. But is it too complex for marketplace innovation that lowers cost and improves quality? Should the cost curve for health care always increase? Notable examples suggest otherwise. The new drug for hepatitis C costs $80k per treatment, but it avoids a $315k liver transplant. Since its wide scale availability in 1999, Lasik surgery costs have dropped 25% while quality and scope have improved. Doctors can diagnose high blood pressure, a significant health care cost, but it took Whole Foods’ insurance policy to motivate behavior change. These are innovations that reduce cost and improve care; conceived and implemented outside the halls of policy makers or the examine room. Fitbit has sold more than 21 million devices since 2008 and has 9.5 million active users. That means that in any single night it gathers more sleep data than major research institutes have gathered over decades of operations. While venture capital investment in internet companies exceeded 40% of total VC activity in 2014, health care’s 17% ($8.2 billion) of VC dollars falls short. Investment attracts talent. With more than $4.2T in the hands of accredited investors seeking a nice, long and healthy retirement, investing in a broad array of ventures focused on therapeutics, medical devices, nutraceuticals, and health care technology is a rational investment, health care, and retirement policy. Much of health care will respond to innovation just like other markets. It is time to bring more entrepreneurs to the table to help drive this innovation, like Judge Greene did with the breakup of AT&T. Some innovations need a PhD or MD, others need a college dropout with ADHD. In any case, health care will get better and cheaper if investors back more entrepreneurs.